Many law enforcement agencies have stopped using breath tests to determine a motorist's blood alcohol content (BAC) and have begun requesting blood tests to determine BAC instead. If you consent to a blood draw, you may be transported to the nearest hospital for testing, or a lab technician may do the blood draw at the local police precinct. Your blood sample will then be delivered to the NH State Police Forensic Laboratory for analysis. The blood testing equipment/procedure is known as "gas chromatography" and is widely considered the most accurate of all BAC tests. Nonetheless, testing a person's blood to determine their BAC is an invasive and intricate process that is replete with possible errors and inaccuracies. Blood alcohol testing in NH is a complicated process which uses very expensive and elaborate equipment, which procedures require the laboratory analyst to use proper methods and safeguards to ensure the accuracy of the BAC results. Even though a blood test is considered more accurate than a breath test, there are still many issues that can affect the outcome of a NH DWI charge. Having the right experience, knowledge and skills in an attorney can make all the difference in the process. 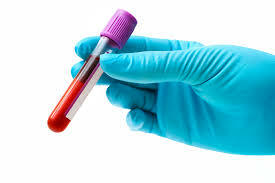 Just a few examples of possible errors in blood testing that can affect a DWI case include: Using expired or outdated blood testing kits; failing to use an anti-coagulant to stabilize and preserve the blood prior to testing; failing to properly store and document the chain-of-custody of the blood sample being tested; and, employing subpar testing procedures by the lab analyst. Any or all of these factors can cast doubt on the reliability of the BAC results, and could have a significant impact on the pending DWI charge. New Hampshire DWI laws require the State to follow specific rules for blood sample collection and analysis. Failure to follow the prescribed regulations can result in suppression of the blood tests from evidence. The rules for blood sample collection in a DWI case are complex and technical. They are set forth in CHAPTER Saf-C 6400 ALCOHOL AND CONTROLLED DRUGS. Blood alcohol testing in a NH DUI may be the preferred method of determining a person's blood alcohol content, but the process is nonetheless complicated, expensive and ripe with potential pitfalls and errors. Having an experienced NH DWI lawyer who understands blood alcohol testing and is familiar with gas chromatography analysis is critical. A DUI conviction can result in costly consequences, such as fines, loss of license, and even the installation of a ignition interlock device at your expense. Even after your sentencing requirements are completed and your license is restored, there could be potential job consequences if there is a DUI on your record. It is in your best interest to make sure the New Hampshire DUI attorney you select has both experience in and knowledge of blood alcohol testing methods and litigation of your particular charges. If you have been charged with DWI, please contact the NH DWI lawyers at Tenn And Tenn, P.A. today for a free initial telephone consultation at 603-624-3700 or on our Toll Free Helpline at 1-888-511-1010.